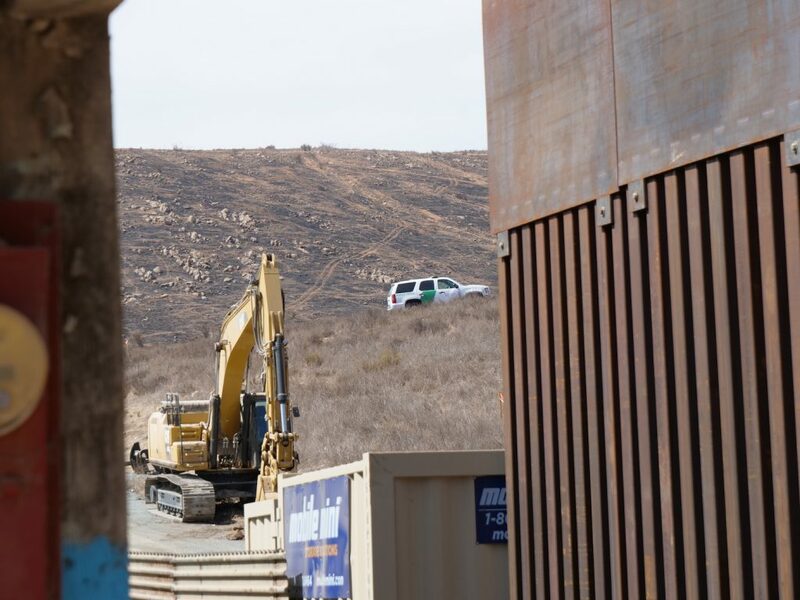 Can Mr. Donald Trump Stop Migrants by making a Border Wall? If we go back to the history of migration, we find migration is a powerful phenomenon. The migrants were encouraged by the Western world. Mr. Donald Trump`s predecessors also welcomed immigrants from all corners of the world. Their idea behind flexible immigration policies was to support the local economy and infrastructure projects which require a large number of people to work. Currently, the number of immigrants living in the United States has more than doubled since 1990. From the Alien and Sedition Acts of the late 18th century to todays calls for restrictions on immigrants and refugees, there are numerous instances of legislation conceived to control immigration or immigrants. The day Mr. Donald Trump took over the reign of the USA government; he has initiated several anti-immigrants’ steps. He has also tightened the rules for H-1B visa to curtail the number of IT and other skilled applicants. His vision in the larger interest of the American people is nevertheless fudgy. Mr. Trumps threat to impose national emergency would boomerang and smash the Trump government politically. The American people will never forgive Mr. Trump for the shut- down of the government. The flow of people from the Mexican border to the USA territory is not a new phenomenon. The migrants landed in the USA in the previous years and they will keep on landing despite policy hurdles. It is a known fact that poverty-stricken migrants, who try to cross the USA border for green pastures, not fully responsible for illegal entry to the USA but the Americans travel agents, lawyers and corrupt politicians are also equally responsible. A plethora of American Immigrant lawyers has been offering their services to the migrants for seeking Permanent settlements in the USA. Let us cite an example of the students from the Asian countries that enter the developed countries on the basis of study visa. After completion of studies, they are supposed to return to their home country but immigrant lawyers help them to overstay or seek Permanent Residency. Similarly is the case of poverty-stricken people in their homeland avail the services of American Immigrant lawyers to get the Permanent Residency permit. Here, we cannot hold immigrants responsible for any sort of illegality since the system itself supports to let them remain in the USA. The accusation that all the migrants are responsible for the proliferation of drug business and crime in the USA. This is not at all true. Studies done at the micro-level pointed out that first-generation immigrants are less likely to commit crimes than non-immigrants. At the macro-level, it has been shown that immigrant enclaves or zones with large proportions of immigrants not only tend to exhibit lower crimes rates that non-immigrant communities with similar characteristics but also that they often promote the revitalization of decayed urban areas[ii]. According to Lee & Martinez (2009), immigration generally does not increase crime and often suppress it[iii]. In their study of San Diego neighborhoods between 1980 and 2000, Martinez, Stowell, and Lee(2010) found that immigration does not lead to more crime and may, in fact, protect communities from criminal deviance[iv]. A number of recent immigration and crime studies were inspired by the family structure and social capital theories, briefly, these theories suggest that some immigrant groups are able to preserve pro-social, family –oriented elements of their native cultures, which in turn protect immigration and their children from involvement in crime[v]. Dillingham Commission (1911) report found that ‘that fewer immigrants than non-immigrants were treated for issues related to alcoholism and insanity. Mr. Donald Trump needs to study deeply before jumping into a rash conclusion. There is a need to stop White communities from engaging in hate crime against minorities. Mr. Donald Trump and his close associates must work for the annihilation of racial discrimination prevailing in the United States of America against the immigrants to make the USA strong economically and culturally. There is a need to stop the American politicians that make inflammatory statements. There is a need to stop the mainstream media to stop publishing libelous stories against the immigrants. Mr. Donald Trump needs to cancel the license of the American Travel Agents, Immigrant Lawyers who trap the poor, innocent, and politically and socially victim people from the Third world countries and charge hefty fees to prepare fake documents to secure Permanent Residency(PR) in the USA. V Rahul Kumar, PhD, Centre for the Study of Social Systems, Jawaharlal Nehru University, New Delhi. His area of research is Labour migration, international migration. He can be contacted at rkbsooru@gmail.com. [i] Janice A. Iwama(2018). Immigrants as Victims. In Routledge Handbook on Immigration and Crime (Eds), Routledge Taylors & Francis Group, New York. [ii] Cecilia Chouhy(2018), Segmented Assimilation and Crime: Rethinking the Relationship Between Assimilation and Crime. In Routledge Handbook on Immigration and Crime (Eds), Routledge Taylors & Francis Group, New York. [iii] Lee, M.T., Martinez, R., & Rosenfeld, R(2001). Does immigration increase homicide? Negative evidence from three borders cities, Sociological Quarterly, 42(4), 559-580. [iv] Martinez, R., Stowell, J.I., & Lee, M.T. (2010), Immigration and crime in an era of transformation: A longitudinal analysis of homicides in San Diego neighborhoods, 1980-2000. Criminology, 48(3), 797-829. [v] Jocob I. Stowell and Feodor A Gostjev (2018). Immigration and Crime Rates: Lasting Trends and New Understandings. In Routledge Handbook on Immigration and Crime (Eds), Routledge Taylors & Francis Group, New York.